Visitors to the Mad River Valley will discover a plethora of condominium complexes, the development of which has been spurred by the number of folks who, once they have experienced the Valley, just have to have some roots here. The complexes range from late sixties ski condos to the latest slope-side luxury townhouses and quarter shares. The sheer variety can be overwhelming so we have sorted the major complexes into three categories: Slopeside at Sugarbush, which are the closest to the lifts at Lincoln Peak; Near the Resort, which includes condominiums with a few minutes of Lincoln Peak, MT Ellen and Mad River Glen; and Mad River Valley complexes which feature easy access to skiing as well as historic Waitsfield. Our agents are thoroughly versed in the unique character of each so feel welcome to contact us with any questions! Click Slopeside at Sugarbush, Near the ResortÂ or Mad River Valley for all condominium listings; click a condo name to see all listings in that complex; or, do a Quick Search above to access everything! 3BR townhouses, shortÂ walk to ski trail, dining, sports center.Â Fireplace, WD. Newest Slope-side condos at the resort. 1-5BR near Village Run Trail.Â Fireplaces, WD, decks, views,Â storage, shuttle. 1-3BR, walk to lifts, sports center. Fireplaces, gas heat, owners'Â club, shuttle. 2BR, 2BA slopeside units withÂ warm interiors, WD, fireplace,Â gas heat, pool. 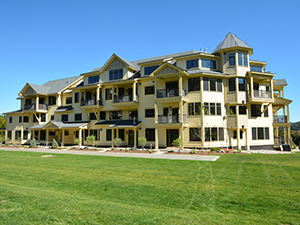 Studios in hotel-style complex at Sugarbush Village.Â Elevator, low fees. 2-4BR near Mad River & Mt. 1-3BR units 1/4 mile from lifts! FamilyÂ oriented, indoor/outdoor sports,Â fireplaces, shuttle. 1BR units on Access Rd. w shuttle. Low fees, quiet, fireplaces, pool, tennis. 3BR townhomes on German Flats. Large units, fireplaces, pool, tennis, shuttle. Studio-3BR, ski-on at Mt. Ellen!Â Cozy, fireplaces, club hotÂ tub, pool, tennis. 2BR 2BA at Mt Ellen! Ski home,Â fireplaces, long views,Â outdoor pool,Â tennis. 3BR townhomes off Access Rd.Â Private, quiet, fireplace, pool,Â tennis, shuttle. Golf Course w views, dens, carports,Â fireplaces, privacy. 1-2BR on Mad River in Waitsfield! Cozy, intimate, gasÂ heat, views, garage. Studio-2BR w pool, tennis, laundry, fireplace, low fees, w privacy in Waitsfield. 2-3BR, walk toÂ Waitsfield Village! Well kept, gas heat,Â garage, storage. 1-2BR residential condos in village of Moretown. Easy commute to I-89 or slopes. 1-3BR off Rt 100, Waitsfield. Small complex, fireplaces, easyÂ commute, low fees. 3BR townhomes on Bragg Hill!Â Spacious, multi level, views,Â fireplaces, low fees.